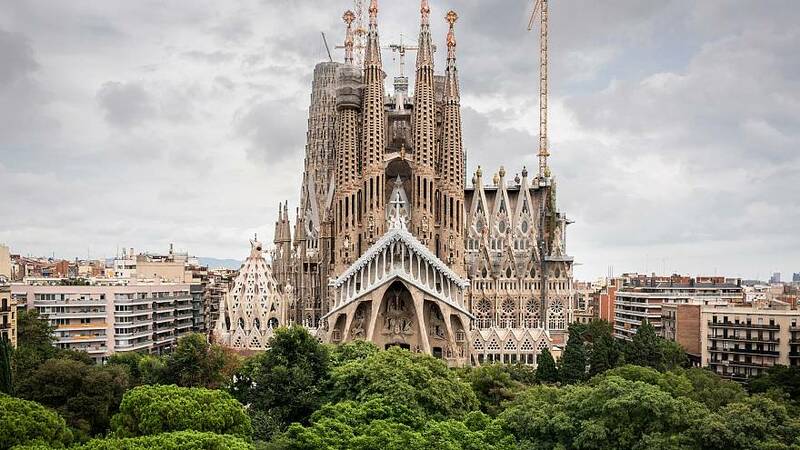 The Sagrada Familia basilica, a famous unfinished landmark in Barcelona, has reached an agreement with Barcelona city council to pay €36 million after operating for 130 years without a building permit. Barcelona City Council said in a tweet on Thursday that an "historic agreement" had been reached, confirming the money would be used to improve public transport services and the neighbourhoods surrounding the basilica. Many social media users reacted favourably to the news. The following Twitter user echoed the city council's sentiment, saying it was "very good news for the city..."
"To improve the environment of this majestic building is to improve the quality of life for citizens and visitors as well as the image of Barcelona..."
And, as for the basilica? Well, construction is due to finish in 2026, the centenary of Atoni Gaudi's death, and almost 150 years after work on the building began. #TheCube is a newsdesk run by a team of Euronews journalists specialising in social discovery and verification. They comb through social media to find, verify, and debunk stories, in real-time, for our audiences on-air and online.